The Herd is a special White House 2012 series covering the obvious and not so obvious potential choices to be selected as Mitt Romney’s vice presidential running mate on the Republican presidential ticket. 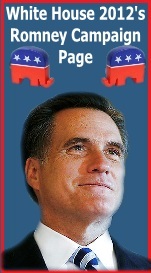 Each day, White House 2012 will introduce you to one the many Republicans which we believe will be at least considered for the vice presidency by the now inevitable presidential nominee, Mitt Romney. Today White House 2012 takes a look at South Carolina Governor Nikki Haley. 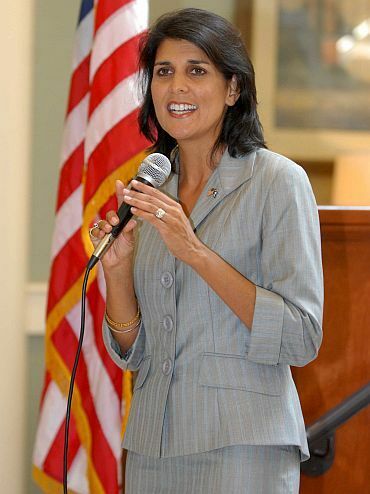 Nimrata Nikki Randhawa (1972-01-20) January 20, 1972 (age 40) Bamberg, South Carolina, U.S.
Nikki Haley came to office as Governor of South Carolina as a TEA movement favorite known for her record of fiscal conservatism, a record she accumulated as a state representative. That record is one which has yet to be tested as an executive officeholder but she remains a promising conservative who is leading a state which has an approximate 10% unemployment rate and is by many, considered to be under direct attack of the federal government. As such Haley and her state has challenged everything from South Carolina’s plight for voters to provide identification before voting, to their enforcement of anti-illegal immigration laws, and even the state’s right to work laws. This puts Nikki Haley on the frontline of many of the hot button, conservative issues and that in turn makes her a prominent name to be considered for Vice President. However, Haley has really yet to cement her reputation as a fiscal conservative and with less than two years in office, it can be said that there are better choices to go with. Especially when you consider the fact that South Carolina is not likely to vote for President Obama. And at the moment, Governor Haley is not the most popular politician in her state. Recent polling indicates South Carolinians were evenly divided on if they approved of the way in which Haley was doing her job. Another bump in the road deals with the unanimous agreement by members of the South Carolina House of Representatives’ House Ethics Committee to take a closer look at an ethics complaint against Gov. Nikki Haley. The complaint alleges Haley used her position as a House member to lobby and then vote on bills to benefit employers. 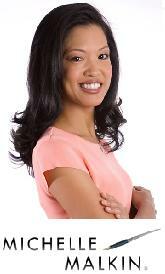 But she still remains a potential candidate for the long list of vice presidential options. It is also worth noting that Nikki Haley was a prominent early supporter of Mitt Romney who even though he lost the state’s primary to Newt Gingrich, is certainly appreciative for her help. Between her personal story as the daughter of Indian immigrants and her being the first woman Governor of South Carolina, she would bring to the G.O.P. ticket an interesting demographic which Republicans must considered. Helps Romney with the T.E.A. activists that he needs on his side. Helps Romney energize the Southern base. Aides Romney with the women’s vote that he needs help with. 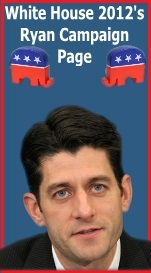 Haley’s fiscal conservatism helps underscore Romney’s command of economic issues and the federal budget deficit. The potential to make history as the first woman vice President carries a degree of excitement around it that the Romney campaign could use a touch of. Nikki Haley is a strong and energetic speaker. Lacks any foreign affairs credentials. Is not as popular in South Carolina as she was in her first year in office. While Haley is a politically attractive and definitely qualified candidate for Vice President, she fails to bring to the table as much gravitas to the ticket that several other male or female prospects do. And while her brief tenure in office has proven her to be a rising star, now is probably not the time when her star should rise to the second highest office in the nation. But the Romney campaign must still consider Nikki Haley for the job. She is strong on many of the issues that Romney needs to stronger on, including the issues of abortion, and limited government. He also needs to be sure that voters with T.E.A. Party sentiments do not sit on their hands on Election day and Nikki Haley can go a long way in winning them over at the voting booth. Of all the potential female running mates that exist for Romney, Haley is probably one of the best. 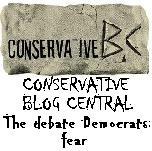 She is a safer choice than several others and Romney likes playing it as safe as possible. So Nikki Haley will probably make it to the short list of candidates but in the end, she is not likely to make the final cut.